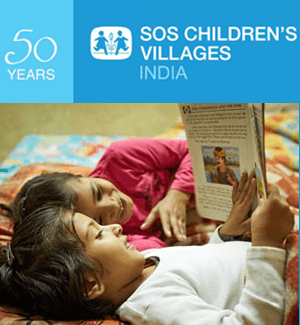 SOS Children’s Villages of India reaches out to the parentless or abandoned children of the country. By providing them with a loving home, SOS makes sure that every such child has a caring parent, brothers and sisters, and a community environment to grow in. 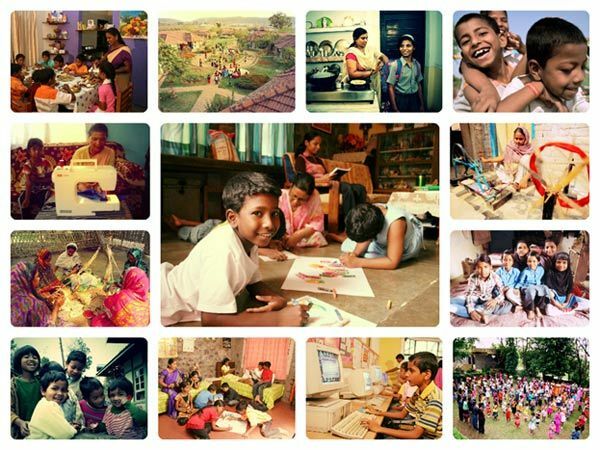 The organization caters to over 25,000 children and there are 31 SOS Children's Villages in 22 states of India. The first children’s village was set up in Greenfields, Faridabad in1964 and since then the organization has settled over four generations of children, transforming them into contributing members of society. The most unique feature of SOS Children's Villages is the home-like environment and the long-term support given to every child up to 24 years of age. FAMILY BASED CARE (FBC) is a curative programme that provides home to and covers education and individual child development of more than 6,600 parentless or abandoned children. The programme also covers the health, nutritional, and psychological development of the children till they are settled in their lives. FAMILY STRENGTHENING PROGRAMME (FSP) is a preventive community intervention programme, covering areas of women empowerment and livelihood enhancement for over 6,500 families, preventing the abandonment of more than 25,000 children. Spanning 3 to 5 years, the program enables families to move out of the vicious cycle of poverty by ensuring income generating capacity development of the care givers. Every child needs care and protection. Yet, sadly, there are many who are denied even this basic blessing. The “My 3rd Child” initiative aims at enhancing and securing the financial future of a child less fortunate than yours. The initiative not only brushes aside the age-old popular saying of “Hum do humarein do”, but also asks the more fortunate amongst us to make space in the heart for those children who do not have what we take for granted, a family. By welcoming a third child into the family and extending the circle of love, one is not only attempting to share the warmth and joys of a family life with someone who has no idea what it is like, but also taking a big step towards securing a child’s happiness. SOS Children’s Villages of India helps children without families find the ability to secure their future. My 3rd Child initiative is an opportunity for you to take another step towards helping us help these children. By being part of SOS’ My 3rd Child initiative and welcoming another member into your loving family, you can simply adopt the financial responsibilities of an SOS child. And, in doing so, not only will you have a family member thriving at an SOS Children’s Village, but a once parentless or abandoned child who has a family to call his or her own now. For supporting your 3rd child, you can contact us at our Toll Free: 1800 102 6905 or visit www.soschildrensvillages.in/mythirdchild for more information.